The candle symbolizes the sacrifice to God, the virgin, angels or saints. It is a peculiar gift of man which he brings in the Holy temple. In Church practice there is a tradition to put candles and to ask for things from God or the saints. 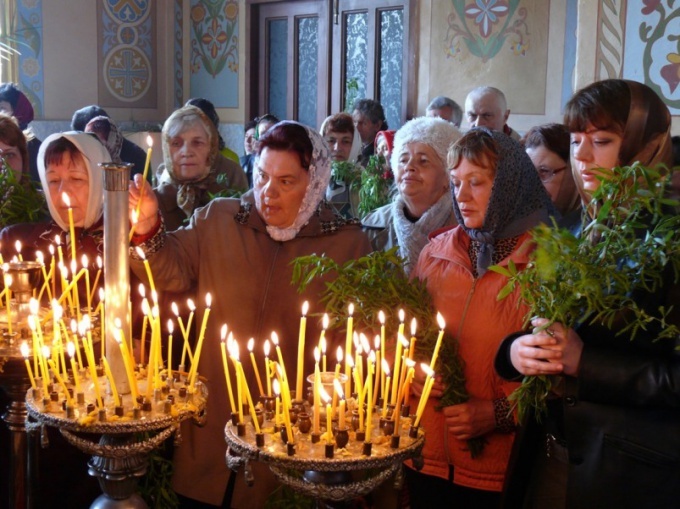 In the Orthodox Church it is possible to put candles for health, and for the peace. Sacrifice in the Church, the candlestick, the health of living can be addressed to any Holy person. To light a candle for the health, you need to first learn where the appropriate candle holders. In most Orthodox churches there is only one candlestick, where to put on the repose (tetrapod). Its feature is that the area of the candlestick must contain the crucifixion of Christ. For those who first went to the temple, it is recommended to ask in the Church shop or the congregation, what kind of candlestick funeral. The rest are intended for candles for the health. Candlesticks are usually found before the Holy icons. It is believed that whose image is depicted on the icon, and light candles on the particular candlestick. A pair of candlesticks can stand in the center of the temple on the sides of the lectern with a festive icon. It is believed that the candle light candles in memory of the holiday that is celebrated in the Church. Before you put the candle must cross the right hand troopertm sign. Baptize first the forehead, then the abdomen, right and left shoulder. At this time myself, you can pray to whomever you put the candle. If it's Holy, you can use the common prayer: "pray for us o Holy Saint of God (the Holy name), as we diligently unto thee, the speedy helper and intercessor of our souls". In addition to pray, in your own words, asking for help for anyone. In this case, it is necessary to mention the name of the person, for whose health we pray. He must bow before the Holy icon. Then put the candle. Can be a little podpravit the bottom of the candle so she had a better control on the candlestick. After the candle is set, it is necessary to impose the sign of the cross and bow. Again, you can say a prayer in your own words the content of the request. Memorial candles are placed on a special candle holder as well as the victim's health. First, the cross with a prayer for the repose of the soul of the deceased. Then put the candle and the newly baptized. To pray for the deceased in the following words: "God Rest the departed soul (s) of the slave (slaves are) Your (Thy) and forgive him (her) every transgression, voluntary and involuntary, and grant the Kingdom of heaven." In addition, you can also pray in your own words.